If you are interested in an adventure, check out Panorama Ski Resort located in British Columbia. This resort has a lot to offer anyone who enjoys being outdoors amidst some of the most beautiful scenery imaginable. Located in the Purcell Mountains of British Columbia, Panorama Ski Resort is a popular destination for family vacations. This mid-size resort has over 2,800 acres of skiable terrain and a summit of 4,000 vertical feet. It has one of the highest vertical drops in North America. Since British Columbia is home to some of the highest mountains, skiing is an exhilarating experience. In addition to the slopes, Panorama has the Rockstar Terrain Park that has features such as jumps, rails and boxes. Rockstar is the largest terrain park in the Kootenay Rockies area and a favorite among snowboarders of all skill levels. If skiing downhill and boarding at the terrain park are not enough of a challenge, Panorama offers heli-skiing as well. With over 930 square miles of outback, skiing is an adventure. All heli-skiing sessions are accompanied by a professional guide who is there to make your experience safe yet fun. To see impressive scenery, glaciers and untouched nature, check out heli-skiing in the Purcell Mountains for an unforgettable experience. Panorama Resort has partnered with Lusti's Mountain Outfitters to provide skiers and snowboarders with quality rentals at reasonable prices. Rentals are from top brands such as Rossignol, Salomon and Burton. For those just starting out, there is a beginner ski package that includes skis designed to help you master the basics. There are also rentals for children ages 12 and under. Packages include skis, boots and poles. 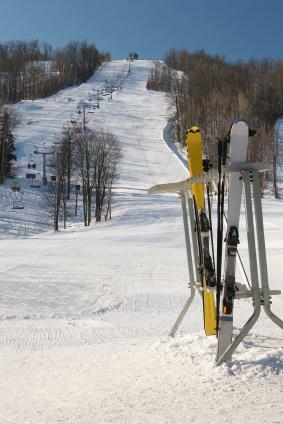 Snowboard rental packages include Burton snowboards and boots. The Panorama Snow School features a variety of lessons and programs for skiers and snowboarders of all ages and skill levels. Lessons can be either a full or half day and are available in both group and private sessions. A great program to check out is the Discover Program. It is designed for beginners and teaches the basics of the sport. Skiers over the age of 55 can take advantage of the Panorama Club. It is an eight-week program that includes lunch and skiing in a group setting. Made just for women, Women and Wine is a program that runs for eight weeks and features lessons and an after skiing opportunity to mingle and enjoy the company of friends. Moms and Groms: Designed to give moms time alone to enjoy skiing. Toby Creek Tune Up: A two hour lesson that is either in the morning or afternoon. Canadian Ski Instructors Alliance (CSIA) Level 1: Created for advance skiers who are interested in becoming instructors. After a long day outdoors, what could be more enjoyable than relaxing in the Panorama hot pools? The pools are located slope side so you can relax while enjoying the scenery of the mountain. Dining options are available on the mountain and at Panorama Villages. For those wanting to enjoy the mountains while having a meal, check out the Mile 1 Hut's lunches, the Elkhorn Cabin's all Canadian menu or the Summit Hut which not only serves food but gives you a view from the highest point of the mountain. Panorama Mountain Village has several shops to satisfy your cravings. Whether you need a quick snack at the General Store or are looking for a souvenir at the Final Gate or want to browse one-of-a-kind glassware at the Bavin Glass Cabin, there is a little something for everyone. Anyone in the area can appreciate all that is offered at Panorama Resort and those visiting are guaranteed a memorable experience full of adventure as well as relaxation.